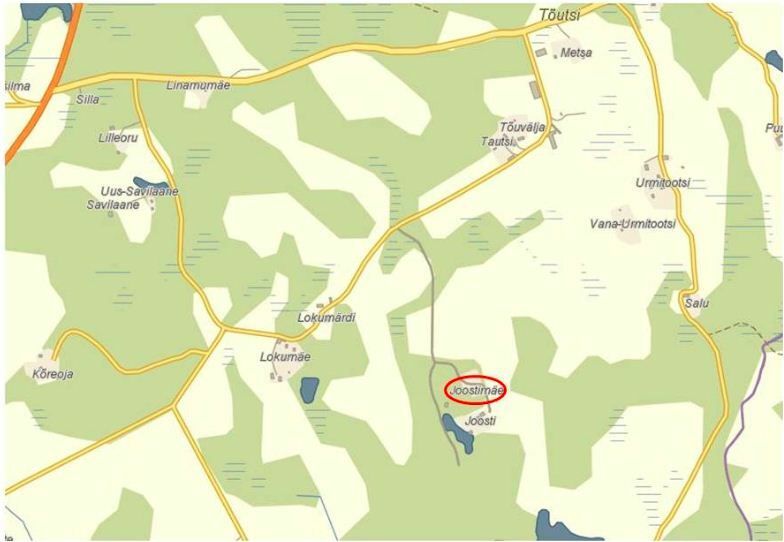 To get to the Joosti Holiday House, drive 12 kilometres from Otepää toward Sangaste along the Valga Hwy. When you see the sign saying Vidrike 6 turn left. After 200 metres turn on the road on the right and drive approximately 2 kilometres. When the road splits, keep left and drive through Tõutsi Village. After the green Kappermäe Visitors Centre, the road goes downhill. Turn right at the bottom of the hill, drive on a bit and you have arrived.